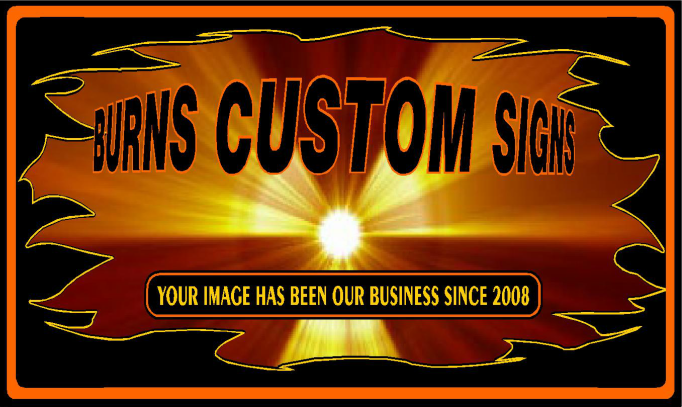 Burns Custom Signs is an owner operated company which began in 2008. It is owned and operated by owners Weldon Burns and his son, James. Weldon first entered the sign industry back in 1996 and later became a National Sign Program Manager from 2001-2007. So, when a National Account Manager calls us, they will not only be talking to the owner, they will also be talking to someone who has "been there and done that". Or, if you're a business owner and just need some straight talk on your sign and lighting issues, advice is still free at Burns. Whether it's service, installation, or routine maintenance of your lighted signs, parking lot lighting, area/security/directional lighting, or even interior lighting, please give us a call. Then, rest assured you'll be in capable hands because our reliability and professionalism are backed by years of field experience and customer satisfaction. At Burns, your image has been our business since 2008.